It’s not necessarily easy to pick the coolest and wackiest tech stories of the year, especially when you have so much to choose from. Rather than trying to be all- inclusive as we have done in the past, see (here and here and here) we have tried to more “exclusive.” Have fun! First up is a cool story about IBM and coffee-delivering drones. Big Blue has filed a patent for a coffee-delivery drone with intricate sensors. IBM in the patent says they system works like this: A cup of coffee hangs from a small flying unmanned vehicle, and the drone flies to an area with people in it and can be flagged down by someone who desires the beverage. The drone system isn’t dumb. Rather it can collect data about your location and time of day. If it notices a trend, say you get tired at 3 p.m., it could do a fly-by-coffee at that time every day without you asking for it. Will it make it to the market? Don’t bet against it. Our next story falls into the wacky category and comes from London. 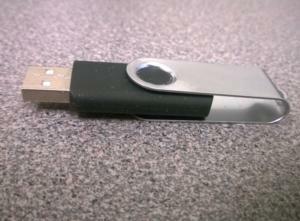 The story goes that a man on his way to a library found a random USB stick lying on the sidewalk. Upon booting it up he found that in contained all manner of security information about London Heathrow Airport, including security procedures for the Queen and other important travelers, the location of all closed circuit television camera at the airport and maps of the Heathrow's tunnels and escape shafts for the Heathrow Express train station. England’s Information Commissioners Office ended up fining the Heathrow Airport Limited approximately $154,000 for “failing to ensure that the personal data held on its network was properly secured. The Register reported that the ICO discovered that just 2 percent of the 6,500 workers at HAL had been trained in data protection. The ICO also noted "widespread" use of removable storage media that flouted HAL's internal policies and guidance, and sloppy controls over preventing staff downloading personal data onto unauthorized or unencrypted media. Needless to say there have been security changes at Heathrow. Sticking with security, there were multiple reports of potential vulnerabilities about the networks involved with supporting the Lockheed Martin F-35 Lightning II, the next-generation joint strike fighter to the US military. “It’s a software-based aircraft, and any software-based platform is going to be susceptible to hacking,” Brig. Gen. Stephen Jost, director of the Air Force F-35 Integration Office, told Defense News. The problem isn’t with the aircraft support networks. 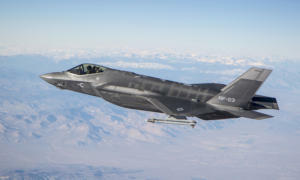 As Popular Mechanics puts it: Every F-35 squadron, no matter the country, has a 13-server Autonomic Logistics Information System (ATIS) that is connected to the worldwide ALIS network. Individual jets send logistical data back to their nation’s Central Point of Entry, which then passes it on to Lockheed's central server hub in Fort Worth, Texas. In fact, ALIS sends back so much data that some countries are worried it could give away too much information about their F-35 operations. 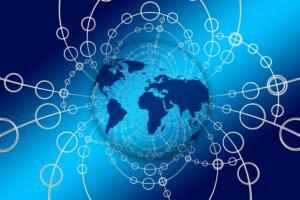 Another networked system is the Joint Reprogramming Enterprise, or JRE. The JRE maintains a shared library of potential adversary sensors and weapon systems that is distributed to the worldwide F-35 fleet, Popular Mechanics wrote. The services that use the F-35 are now trying to tighten the bolts around any potential vulnerabilities. This scam is just crazy, especially since it has been going on so long. It's the business e-mail compromise (BEC) scam that the FBI says has garnered over $12 billion in ill-gotten booty and netted nearly 80,000 victims between 2016 and now. The BEC scam continues to grow and evolve, targeting small, medium and large business and personal transactions. Between December 2016 and May 2018, there was a 136% increase in identified global exposed losses, the FBI wrote. The scam has been reported in all U.S. 50 states and in 150 countries. Victim complaints filed with the Internet Crime Complaint Center and financial sources indicate fraudulent transfers have been sent to 115 countries. 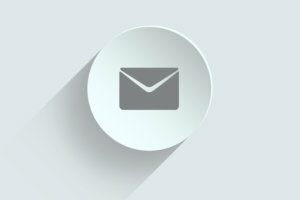 The FBI says the scam has evolved over the years but is frequently carried out when an attacker compromises legitimate business e-mail accounts through social engineering or computer intrusion techniques to conduct unauthorized transfers of funds. A variation of the scam involves compromising legitimate business e-mail accounts and requesting personally identifiable information (PII) or Wage and W-2 income tax forms for employees. 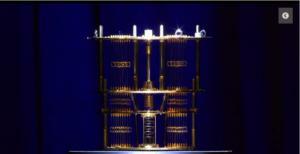 It’s still a few years away but it was interesting to hear Gartner espouse the coming power of quantum computers at its Symposium/IT Expo this fall. One of the top potential disruptive technologies in the next five years or so will be the use of quantum computing or quantum computing services to solve difficult problems and offer new applications, Gartner analysts said. The parallel execution and exponential scalability of quantum computers means they excel solving problems too complex for traditional approaches or where a traditional algorithms would take too long to find a solution. Automotive, financial, insurance, pharmaceuticals, military and research industries have the most to gain from the advancements in quantum computing. Most organizations should learn about and monitor QC through 2022 and perhaps exploit it from 2023 or 2025,” Gartner said. Gartner recommends getting ahead of the curve by leveraging QCaaS, GitHub tools and SDKs. Meanwhile towards the end of the year Harvard announced its Harvard Quantum Initiative (HQI) which is intended to bring together a new scientific community, in concert with national efforts to accelerate progress in quantum technology. Thing are indeed heating up. Am I pretty or am I pretty intelligent? University of Melbourne researchers said they have built what they called a biometric mirror that uses artificial intelligence to detect and display people's personality traits and physical attractiveness based a photo of their face. The mirror displays 14 characteristics, from gender, age and ethnicity to attractiveness, weirdness and emotional stability. The longer a person stands there, the more personal the traits become, researchers said. "Our study aims to provoke challenging questions about the boundaries of AI. It shows users how easy it is to implement AI that discriminates in unethical or problematic ways which could have societal consequences. By encouraging debate on privacy and mass-surveillance, we hope to contribute to a better understanding of the ethics behind AI," said Dr Niels Wouters from the Centre for Social Natural User Interfaces (SocialNUI) and Science Gallery Melbourne. One rarely gets to combine the words toilet and Bluetooth or wireless but this is 2018 after all. Shown at CES early in the year, the Kohler Numi porcelain convenience “offers personalized settings that let you fine-tune every option to your exact preferences, from ambient colored lighting to wireless Bluetooth music sync capability to the heated seat and foot warmer. Play your favorite music and podcasts – simply stream wirelessly with any device enabled with Bluetooth technology, store MP3 files to the SD card or plug in your device using the auxiliary cable." Other upgrades include power-save mode for energy efficiency, emergency flush for power outages, and an intuitive touch-screen remote. From its striking form to its exceptional water efficiency, the Numi toilet marks a new standard of excellence in the bathroom. Enough said. When it comes to protecting network security it would be advantageous to somehow meld the expertise of human intelligence with the artificial intelligence of an advanced computer system. That’s the notion at least behind a research project announced this year by the Defense Advanced Research Projects Agency (DARPA). DARPA’s Computers and Humans Exploring Software Security (CHESS) program aims to move beyond the manual, human-driven security protection process to one that is based on advanced computer-human collaboration to fight emerging threats, DARPA says. The basic idea is to infuse computer tools with the intelligence or as DARPA puts it, to create “techniques for addressing classes of vulnerability that are currently hampered by information gaps and require human insight and/or contextually sensitive reasoning. Elon Musk has no shortage of cool, ambitious projects – from putting humans on Mars to building a hyperspeed train among other endeavors – and recently got the green light for another grand plan: a low-cost satellite based broadband service called StarLink. Specifically, in November he got the FCC’s OK to put an additional 7,518 satellites into space to form a StarLink constellation of nearly 12,000 satellites he needs to launch into orbit over the next six years (4,425 satellites have already been authorized). SpaceX intends the satellites to fly in low Earth orbit, about 215 miles high. SpaceX's interest in such a low orbit is to shorten the delay between the satellites and internet users on Earth and therefore speed up surfing speeds, according to a release. None of the satellites have launched yet. It’s not every day that a start-up gets to have the inventor of the World Wide Web as its co-founder but Inrupt debuted this fall with Sir Tim Berners-Lee as its chief technology officer (John Bruce previously of IBM’s Resilient security firm is the other co-founder and CEO). Inrupt’s goal is to give users the power to control their data and more importantly their own information. At the heart of Inrupt is Solid, an open source software project that Berners-Lee has been working on. Obviously, it’s going to take a lot of work – and making converts of customers of Google, Facebook and many other web-based services – to make Solid a broad success, but Berners-Lee says, "I think we have enough energy to take the world to a new tipping point."